Messy yet chic. Effortless yet elegant. The French girl hairstyle is iconic and many celebrities have sported this stylish hairdo over the years. Whether the hair is short and edgy or long and wavy, I have personally always loved how simple Parisian style haircuts are. So here are some classic examples of the timeless french girl hair. Nowadays, the french girl hair is usually known as medium length, wavy, and smooth hair. My personal hair icon is Jane Birkin. Her effortless bangs are certainly the epitome of the Parisian hairdo. Inky, short haired, edgy hair is one style very few can pull off, but when one does it’s striking. Clémence Poésy certainly has major hair goals with her long dreamy locks. 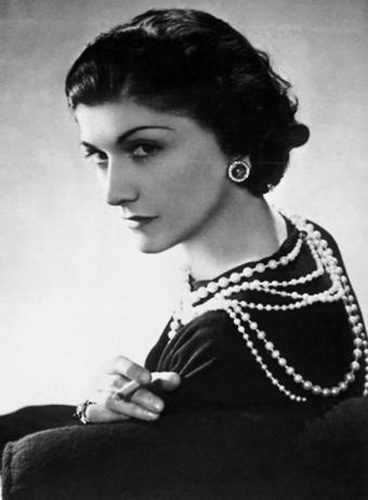 Coco Chanel had an iconic bob that is still famous to this day as one of the original Parisian hairstyles. The most favored timeless french hairstyle is probably the medium lengthed, wavy, brunette hair. Previous Post Previous post: Happy Birthday Cindy!